Walking with Jesus: Day 8: Matthew 4:12-17; Psalm 8 - How Accurately Did God Foretell His Son's Coming? Day 8: Matthew 4:12-17; Psalm 8 - How Accurately Did God Foretell His Son's Coming? How Accurately Did God Foretell His Son's Coming? 1. Micah 5:2 said the king would come from Bethlehem Ephrata, a small town in Judah. 2. 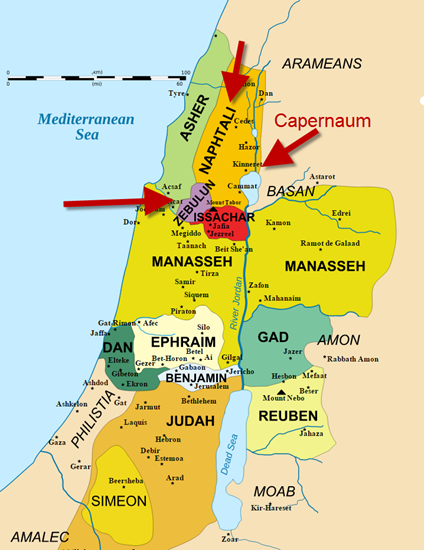 Isaiah 9:1-2 said He would be in Galilee, in the territories of Zebulun and Naphtali. 3. Malachi 3:1 said He would suddenly appear in the Temple. 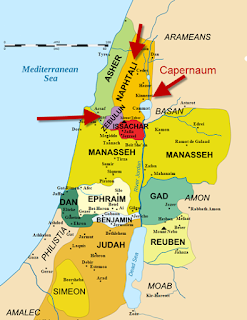 So, which is it, Bethlehem, Galilee or the Temple in Jerusalem? Well, we know from the Gospels that Jesus fulfilled all three precisely: Born in Bethlehem, He did most of His earthly ministry in Galilee and also appeared in the Temple in Jerusalem multiple times in His life. God wanted to make sure we wouldn't miss our Messiah when He came, so He told us exactly where to expect Him - not just one place, but three different places! I had the privilege of preaching on Isaiah 9 this past December, and I covered in more detail the prophecy about Galilee. You can get that sermon here. O, Lord, You who are glorious far above the heavens and You who are majestic in all the earth, You alone can and do strengthen even the least and weakest among us, to show the greatness of Your power in the face of the enemy. Satan rages and seeks to destroy, but You strengthen and equip Your people to stand in Your power. O Lord, it is truly amazing that You care for us the way You do. You have chosen to honor people made in Your image as the pinnacle of Your creation and the objects of Your special care. We are nothing in and of ourselves, Lord. We cannot give You anything to put You in our debt, but You love us and honor us and care for us in amazing ways, and for that we praise You now and always! Father, after Adam surrendered his place of dominion over the creation in the Fall in the Garden, You sent forth Your Son to redeem us and to restore us. Christ now has dominion over all things and we stand in Christ as Your redeemed and restored image-bearers over creation under You, for Your glory!